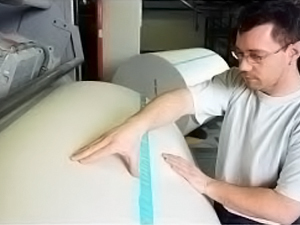 3M™ Double Coated Tape 9737 is a Clear 3.5 mil acrylic double coated tape on a polyester film carrier. 3M™ Splicing Tapes 9737 are high tack, double coated acrylic pressure sensitive adhesives with a polyester carrier. These products offer good temperature resistance and adhere well to kraft and coated papers. These high performance splicing tapes are appropriate for use on paper, plastics and other continuous web processes. Especially appropriate in the manufacture of corrugated paper.